What's the big deal about abortion? 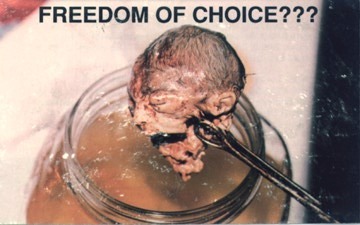 For every SICKO pro-abortionist, DON'T EVEN THINK ABOUT TELLING ME THIS AIN'T MURDER. DON'T EVEN THINK ABOUT GETTING MAD AT ME FOR PUBLISHING THIS PICTURE--LET THE LIGHT COME IN! BE EXPOSED! THIS CHILD HAD NO CHANCE! Lord Jesus, have mercy on us. We don't deserve it, but please have mercy.